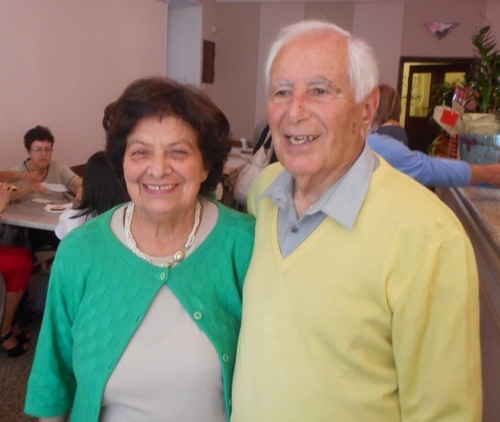 Yesterday Bagni di Lucca’s Borghesi restaurant officially reopened with a joyful and dignified ceremony. We managed for a short time to return to a place that has always meant a lot to us, especially during our first years here. The décor has been updated in a classical and discrete colour scheme with off-whites and greys. There is nothing ostentatious about the reincarnated Borghesi: in fact, considerable effort was made to bring back the decoration to its former elegance. The front dining area which, it will be remembered, was florally decorated with trompe-d’oeil windows and vine tendrils is not included in the refurbished Borghesi as it was always rented from an adjoining proprietor and has been a shop for some years. Perhaps one day? In compensation, the rear dining area has been enlarged by a slight structural alteration and can accommodate a maximum of forty diners. The bar area has been cleaned up and diffuse lighting makes it a very attractive place to enjoy one’s morning cappuccino or afternoon aperitivo. The kitchen is completely state-of-the-art and the public services are also fully updated. A “Rassegna Corale” could be described as a choral jamboree. It’s a convivial occasion where local choirs meet up, each one presenting a short programme to show off their styles and repertoire. There’s no element of competition in the event but all members of audience and choir present are invited to contribute towards a good cause. In last nights’ Rassegna it was cancer research. 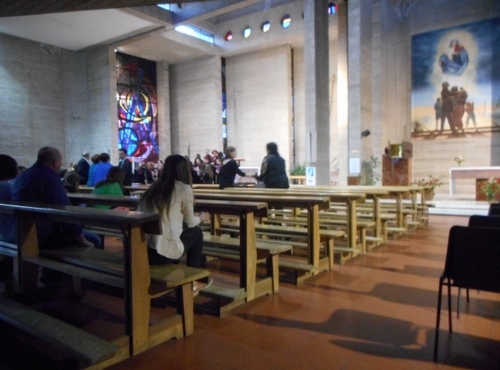 The 16th occasion of this particular Rassegna event took place in Fornaci di Barga’s new church, a brutalist piece of architecture with atrocious acoustics and abattoir-like lines which I have already slated in a previous post (see https://longoio.wordpress.com/2013/12/22/brutal-or-beautiful/ ). No matter. At least the venue is large – the largest indeed in Fornaci and there are a number of art works which redeem the awfulness of the building. 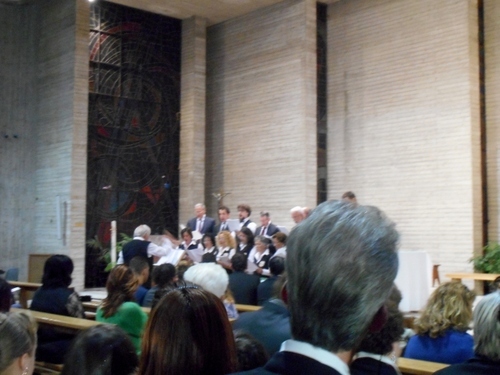 The place was filled to capacity with eight choirs coming from the length of the Val di Serchio and representing all age from the very young to the very mature. There was just one change. The Corale of Barga cathedral could not attend and, instead, was replaced by the girls’ choir of Barga’s high school. Our own choir was second in terms of appearance. What can I say about the performances? They were surprisingly good, lacking in some accuracy what they gained enormously in enthusiasm. I remember hearing one very early 1930’ recordings of a Catalan choir some years ago and the direct rawness of the sound contrasted very pleasantly with the often anaemic quality some Anglican choirs are capable of. 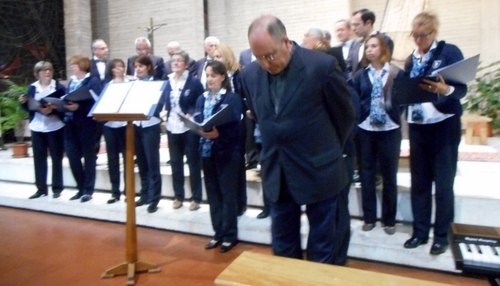 Do not judge Italian choirs by Anglican standards…..
All choirs that evening contributed lustily and gave worthy performances. I had my favourites. Lia Salotti’s Saint Cecilia choir of Diecimo was beautifully rehearsed, as befits a fine music teacher, and the Perosi items were close to sublime. 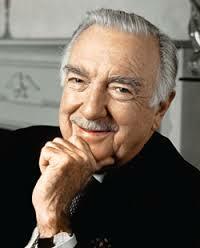 (Perosi is a sort of Italian equivalent of Herbert Howells in a very approximate sort of way. Puccini used to joke to saying that there would come one day when he and his operatic ilk would be forgotten while Perosi would stand the test of time.). The great polyphonic musicologist and interpreter, Don Fiorenzo Toti’s choir from Gallicano took the prize, if it ever would have been awarded, for sheer quality of sound and stylistic interpretation. His choir also performed a piece from the now highly revalued Perosi. But, for me, the revelatory piece was Francesco Bianciardi’s “Veniens a Libano”, an exquisitely sonorous piece by a Tuscan composer born at Casole d’Elsa in 1572 and who died in Siena Italy. Because Bianciardi isn’t that well known in England a few facts about him may be in place here. Bianciardi composed mainly religious music in the style of Palestrina whose pupil he may have been. He became Siena cathedral’s Maestro di Capella in 1597. Bianciardi was also a virtuoso organist whose improvisations were extolled by contemporary composers such as Pitoni and Banchieri. Later in life he wrote more light-hearted, madrigals which look forwards to the Monteverdian idiom. Bianciardi also has a connection with another post-Palestrinian Ludovico Grossi da Viadana, which the choir also performed, and introduced some of the latter’s concertato elements. It’s true to say that one of the joys of living in Italy is that one is constantly introduced to composers and musical schools one was entirely ignorant of in the UK. Hopefully, the converse is also true when Italian music lovers visit to the UK and are introduced to that country’s amazing tradition of music from Dunstable to Tavener. The evening was most enjoyable with everyone from mums and children to Toti’s regiment of highly disciplined polyphonic voices collaborating in the great language of choral singing. Our one choir didn’t do too badly either, I hasten to add, under Andrea Salvoni’s excellent guidance. Let the people continue to sing, I say! Libraries come in all shapes and sizes, particularly in Italy. They all have one thing in common, however: they are places of refuge and learning and, often, of elegance. Libraries are places of refuge because they provide oases from the invasion of ignorance which show no signs of abating in the outside world. They are dwellings of learning because there’s always something new one can find out about oneself and the world in these most ancient centres of erudition. And they are abodes of elegance because many of them are truly beautiful buildings to visit. All these three elements were combined when I visited Borgo a Mozzano’s library yesterday to meet up with a student for an English lesson. The library has quite recently been moved from another ancient palace in Borgo a Mozzano’s long high street which is bordered by tall buildings worthy of any Oltrarno Florentine street. The library is situated in a beautiful square bounded on one side by the stunning baroque church of San Rocco with it great apse frescoes by neo-classical artist Luigi Ademollo. The first room that struck me in the library was this one with the sweetest tartanesque wall decorations. That, however, was just the beginning. 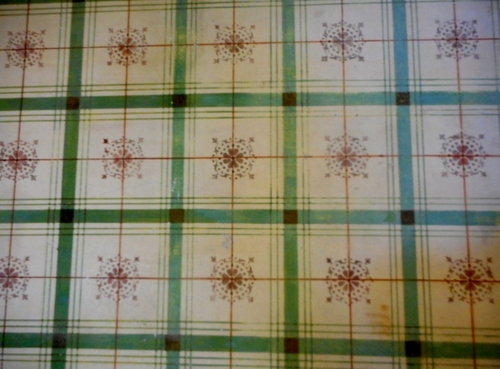 Further rooms had very beautiful ceilings which date back to neo-classical times. They were decorated with attractive medallions and whimsical grotesques. True, some of the ceilings were a little obscured by the necessities of modern library fittings and lighting but these were done with certain discretion and one was still able to admire the elegant proportions of each room. Of course, a library is not just a collection of pleasing ceilings and creative wall decorations. Its pulsing heart is it books and I was very happy to see such a wide collection not just of volumes but also an extensive archive collection. Indeed, there was a young researcher there going through ancient dog-eared manuscripts and rebuilding family connections in a long established family of figurinai (the makers of local traditional makers of plaster of Paris statues which travelled the world in the lucchesi portmanteaux – so widespread that wags would brag that they even reached America before Columbus landed there himself and so were able to sell him the first New World souvenirs). In the midst of this beautiful library with an enclosed upper portico (in which we have also attended intimate chamber music concerts, some given by Borgo a Mozzano’s distinguished Marco Salotti music school under the presidency of renowned guitarist Antonio Rondina) it was absolutely no surprise that the lesson went well and learning was achieved. We are fortunate in Italy in having some of the most magnificent libraries in the world. Clearly, some of them like the Piccolomini in Siena or the Vatican in Rome are the ne-plus-ultra of cosmic librarianship but in so many smaller places there are fine libraries well curated by devoted and often overworked and underpaid librarians. When I consider the poor state of many libraries in my former borough of Greenwich, London – several of which have closed down, some of which have sold entire collections of classic books because they were considered irrelevant (!!!) and one of which some years ago introduced break-dancing (!) in one of its room to encourage younger users – then I become even more grateful for the quiet, studious and devoted ambience of Italy’s carriers of civilization’s torch throughout the peninsula and beyond. And libraries don’t have to be huge things. 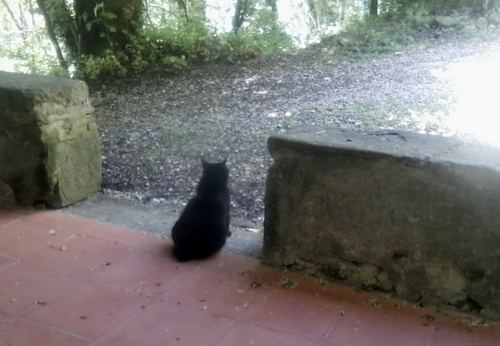 One of the most charming ones I know is the little one in Bagni di Lucca’s public garden, mercifully spared by the ill wind at the beginning of last March. (See my post at https://longoio2.wordpress.com/2014/09/01/bring-and-buy-or-exchange/ for more on that one. This means that you will have absolutely no excuse for missing any of the great musical events Lucca and its province provides since the site will be constantly updated. Furthermore, you will also not have to wait in vain for your copy of “Lucca Musica” to reach you. This is truly a great opportunity to keep in touch and enjoy the fine world of music that Lucca provides – a place which is truly the Salzburg of the south (or is Salzburg the Lucca of the north?). The Sagra Musicale Lucchese, the longest running festival in the city of Lucca, and one of the most prestigious regional musical events, organized by the City, Province, and the Archdiocese of Lucca with the support of the Foundation and CRL sponsorship of Oleificio Rocchi, is presenting four concerts in June. On Thursday, 4th June at 9.15 PM in the Chiesa dei Servi is a performance of Mozart’s Requiem and Fritz Kreisler’s Prelude and Allegro for violin and orchestra. Taking part is the Choir of Pisa University and the Tuscan Chamber Orchestra. Soloists are Alida Berti, soprano; Maria Vittoria Paba, contralto; Claudio Sassetti, tenor; Antonio Marani, bass; Antonio Aiello, violin. Tickets 10 euro; 5 euro for over 65 years. Students free admission. Sunday, June 7th at 6 pm at San Martino Cathedral, organ recital by Giulia Biagetti with a program including Cesar Franck: Prelude, fugue and variation op. 18, Grande pièce symphonique, Op. 17, Liszt: Consolation in D, and Fugue on the name Bach. Giulia Biagetti is a brilliant Lucchese organist of European fame. She graduated in piano and organ composition. She is titular organist of Lucca Cathedral and has performed over five hundred concert throughout Italy and Europe. Saturday, June 13th AT 6 pm, at the Oratorio della Madonnina (via Carrara, zona porta San Pietro) listening Guide by Paolo Razzuoli to Marianna Bottini’s Symphony and Requiem Mass, performed live in San Giovanni on the 9 June 2007 with the Santa Cecilia Chapel Choir. Luigi Boccherini Orchestra. Soloists: Maria Luigia Borsi (soprano), Anastasia Boldyreva (mezzo soprano), Samuele Simoncini (tenor), Giuseppe Altomare (baritone). Conductor: Gianfranco Cosmi. On Saturday, June 20th at 9.15 pm in the Chiesa dei Servi there’s a final concert with unpublished music by Valerio Tesei discovered and revised by Luca Bacci, performed by the Cathedral’s Santa Cecilia Choir, Lucca and the “L. Boccherini” Chamber Orchestra. Soloists: Sonia Bellugi (soprano), Elisabetta Vuocolo (contralto), Carlo Morini (baritone). Conductor: Luca Bacci (entry 10 euro, reduced 5 euro for over 65’s, students free admission). 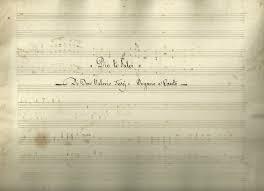 Don Valerio Tesei (Bologna 1749 – 1804) was a composer, musicologist and choirmaster of San Petronio. His music has been included in the Lucchese Music Festival not only for its worth, but also because he was Antonio Puccini’s brother-in-law. (His sister, Caterina Tesei, married Antonio Puccini in 1771). Antonio had turned to him on several occasions asking him to provide music for religious services in Lucca, which he was unable to fulfil alone. It’s official! The much loved Borghesi restaurant in Bagni di Lucca, Villa is reopening after a hiatus of over two years. 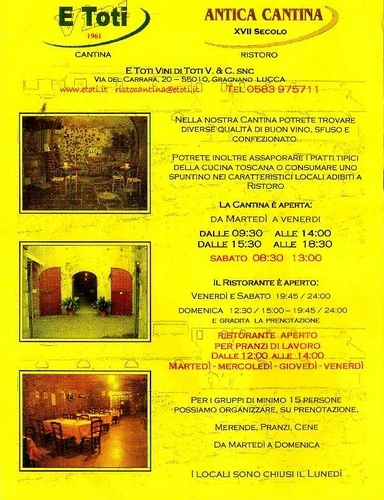 With the cooperation of ex-councillor, Lions club member and president of Bagni di Lucca’s University of the third age, Fabio Lucchesi, who owns the premises and his wife’s family Borghesi, the original founders of the restaurant and who originate from our very own Longoio there will be an opening this Saturday. Borghesi is not just a restaurant: it’s an institution which dates back to heady Edwardian days when the British contingent would also use it as their favourite tea rooms. I am quite sure that the Borghesi resurrection will be wholly successful and we look forwards to sampling its excellent kitchen in the very near future. Well done to all those who are putting all their efforts in ensuring that Bagni di Lucca does not lose its historical places of refreshment and conviviality. Already the Circolo dei Forestieri, which we sampled last week when we participated in the Unitre’s end of term lunch, is living up to its reputation for good, reasonably priced food in an elegant ambience. While on the subject of historical eateries we bumped into an amazing restaurant dating back to the seventeenth century and situated quite near famous oak I described in my last post. It’s Toti’s cantina situated in Via del Carraia in Gragnano near Lucca, which, as every wine-lover knows, is famous for its superb vineyards. In Italy one can always tell if the restaurant is a good one by the varied number of people of all classes and trade congregating in it: from farmers to executive to builders. 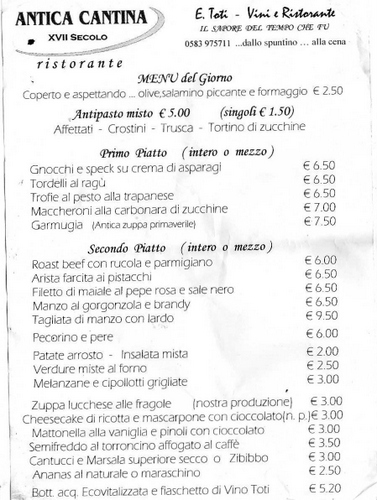 Good food knows no elitist barriers in Italy unlike what often happens in other countries. The antica cantina restaurant is, in fact, a converted wine cellar and there are still relicts of casks and their gigantic hoops. The cellar dining area is a little dim but is particularly suitable for evening meals. We picked the rice with artichokes, penne with asparagus and garlic spaghetti. For second dish we had home-made hamburgers on asparagus cream, saltimbocca alla Romana (saltimbocca, Roman-style: veal, prosciutto and sage, rolled-up and cooked in dry white wine and butter) and grilled beef with a mixture of vegetables including roast potatoes bean and agretti (the edible leaves of salsola soda, also known as goat’s beard in the United Kingdom). 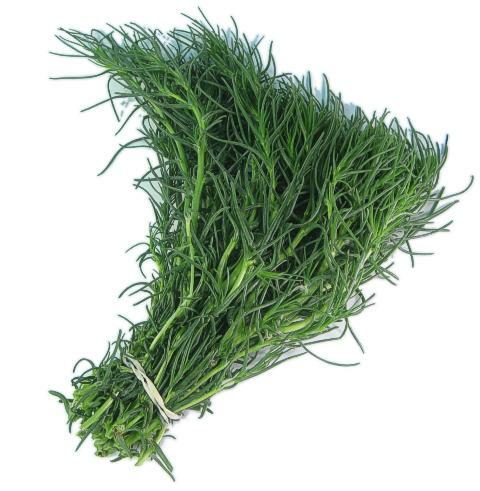 Agretti is a kind of greens originating from Tuscany and I’ve never found it abroad. It’s delicious! This excellent repast was accompanied by water, excellent red house wine from Gragnano and finished with coffee. 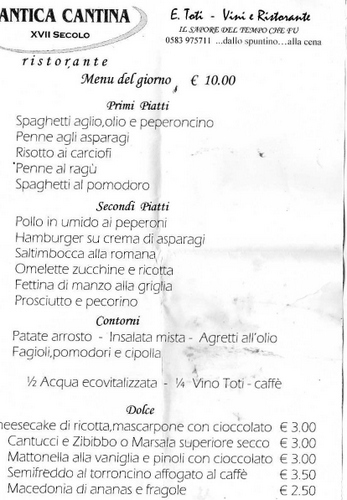 All this came to ten euro each and, as is usual in Italy, tipping was completely optional. We can assuredly say that we haven’t eaten so well in a restaurant for a very long time. To get to Toti’ follow the road from Lucca to Pescia and turn right where it says Montecarlo. Yesterday we were bewitched by one of the most wonderful trees we have ever seen. It’s called il quercione, (the big oak) and is in a location we would really like to keep secret, on the slopes of the hill of Montecarlo. Why our hesitation in telling everyone where it is exactly? 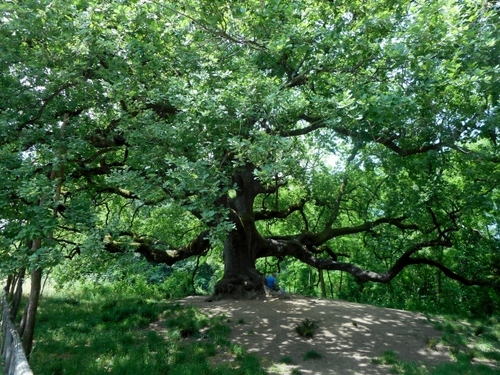 Partly it’s because too many visitors tramping around it could damage the oak’s roots, partly because the tree has traditionally supernatural forces, is also called the tree of the witches and could inflict harm on those unwilling to believe in the power of magic. The mighty quercione is at least six hundred years old and almost eighty feet tall. Its trunk has a circumference of around fifteen feet and it canopy spreads to one hundred and thirteen feet in circumference. What, however, is the most extraordinary feature about the tree (which must be the biggest living being in the whole of Tuscany) is that its branches expand , horizontally, parallel to the ground, a very rare feature in this species and without any convincing explanation for this phenomenon. The Oak of the Witches, as it’s also called, now finds itself in pretty good condition, despite some nasty adventures over the years. 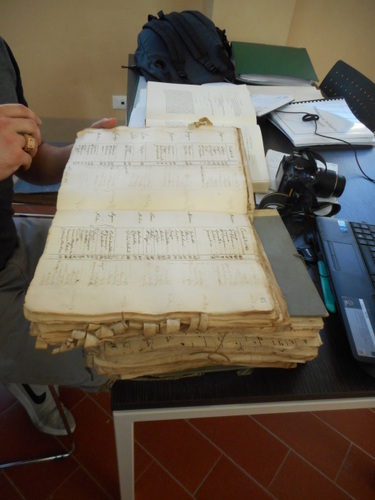 We are incredibly lucky to see il quercione in its current state. During the late war the Nazis wanted to cut it down for firewood (they’d have needed some saw to carry out the operation!) but the local inhabitants bravely protested. In the sixties the tree was struck by lightning but survived relatively unscathed. Legends about il quercione proliferate. It is said that at the Sabbath moon witches congregate in their coven and discuss future tactics sitting along the huge spread branches. Their meeting to discuss their forthcoming operations on the world has encouraged the branches to become even more outspread and mammoth-like to accomodate them. Since it’s also said that anyone who comes uninvited upon the witches’ conferences becomes mad for the rest of their lives we found it difficult to locate any relatively comprehensible witnesses to the fact. We did, however, notice a local peasant at the foot of the tree having a panino and wine lunch break. He seemed quite at ease munching his repast just like as if he were sitting below any other old forest tree. Indeed, the peasant pointed out to us several other ancient green-robed senators and the whole forest has, indeed, a magical appearance worthy of the most fantastical pages of the Lord of the Rings. The tree has also associations with that occasionally long-nosed puppet-turned-boy who was created in the vicinity, at Collodi. 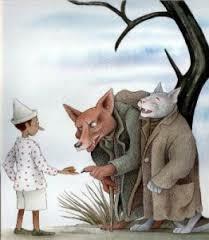 One version has it that this is the tree in which Pinocchio buried his money on the advice of the lame fox and blind cat in order to multiply it – a useful story to remember in a country which is regrettably infected with Ludomania. (Of course, the money disappeared in the pockets of the wily pair). 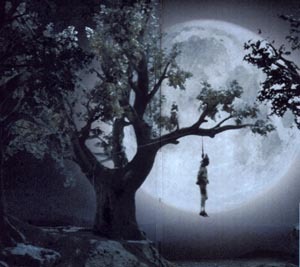 Even more dramatic is the episode where poor Pinocchio gets hung up on the tree. Being a puppet however, does have its advantages and he was saved from the extremes of strangulation by being made of the same material as the tree. Botanically, the oak tree belongs to the sub-species of “Quercus pubescens” and its mass must make it one of the largest living organisms in Italian territory. The disadvantage of any post is that if one describes something that really enters into one’s blood and fills one with awe and wonder then the feeling comes that only the worthiest should visit it. So if you find this extraordinary beast (for surely its branches remind one of something reminicent of the strangest science-fiction creatures in “Alien”) touch it gently with love for the extraordinary power it will give you to regenerate your life-energy, admire it for its great beauty, worship it for the wisdom it has gathered, learn from it through the history it has seen since it was first planted by a little bird at the start of the fifteenth century and be glad that you have seen one of the greatest wonders wonderful Tuscany can offer, hidden in the confines of one the most charmed places I have ever had the privilege to visit and where the most amazing woodland walks can be had. Longoio cemetery stands a little less than half-way on the mule-track between Mobbiano – Longoio’s “twin star”- and Giovanna’s shop at the entrance to San Gemignano. It can, therefore, not be avoided if one is walking to her shop to catch up on essentials like milk, sugar and cat food. Yesterday, between one shower and the next, we decided to take another look at the cemetery which is reached by two ramps. At the far centre of the Camposanto (or “holy field” as it’s also known in Italy) is a small chapel used to hold coffins before their interment. It’s built in a vaguely neo-Egyptian style, popular in the nineteenth century with sloping sides and doors, and serves very much the same purpose as a traditional lynch gate in an English churchyard. Unlike English churchyards, however, each tomb is closely placed to the next rather like a compact housing estate. It’s truly a city of the dead rather than the more expansive areas of suburban-like lawns which characterise English cemeteries. Formerly, Italian cemeteries were, like English ones, spread around the church and there are still traces of tombstones and gates adjoining churches like that of San Geminiano. However, after the frequent cholera outbreaks of nineteenth century Italy it was deemed unhygienic by the authorities to inhume remains around a place of worship and so cemeteries have been built a little distance away from churches. Each tomb emplacement has also been lined with stone or concrete to avoid the seeping of bodily fluids which occur when corruption of the flesh inevitably starts to happen. Eventually, of course, the bones will be collected and interred into a columbarium, as at Bagni di Lucca cemetery. This explains the disappointment of grave stone inscription readers in Italy since a very small number of stones have survived the sanitary prescriptions the nineteenth century. Columbarian emplacement has not yet happened at Longoio’s churchyard, presumably because the inhumation rate is not very high and has, indeed, greatly diminished in recent years because of a drastic decline in population mainly due to emigration. There is still, however, a considerable number of tomb in the cemetery of varying degrees of ornamentation, statuary and even ostentation. There’s one funerary chapel belonging to a family who clearly struck it rich in local commerce (no name mentioned) and there are also modest attempts with gravestones to show both the family’s devotion to their dearly departed ones and to indicate that in this earthly life they didn’t do that badly. It is with some regret that, after ten years as a resident of Longoio, I am recognising more and more names among those whose final resting place this has become. That’s, of course, the way of life (or death if one prefers) and the number of funerals I have attended here is now reaching double figures. I wonder when it’ll be my turn. Actually, arrangements have been made for my cremation, now a popular and economic way of disposal, and a place, long bought ago by my foreseeing wife, arranged in a delightfully landscaped south London cemetery. “Ashes to ashes “and “dust to dust” it may be written, but I would also like to add “country of birth to country of birth”. I wonder if Keats, now interred near the pyramid of Caius Cestius in the English cemetery at Rome, might have thought the same. Certainly, I don’t think nearby situated Shelley might have harboured the same thought as he virulently abjured his native soil for understandable reasons. What epitaph might be written on our tombstones? endless as life is brief.